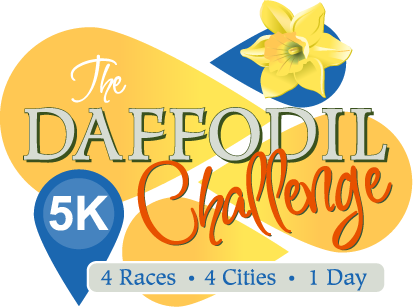 The Daffodil 5K Challenge is a race for our community to come together and get active. The Daffodil Parade is a very unique event that combines four parades in four different cities — all in one day. It is the celebration of communities young and old. The Parade is in its 83rd year of uniting and promoting Pierce County. Run or walk in one city or take the full challenge. Race the clock, or a co-worker. Run as a family, or run to challenge yourself. Run the race, and then stay and enjoy the parade. The day is yours, and this is our community celebration. All proceeds from this event will go to the Daffodil Festival. The event is sponsored by South South Running and Nike.